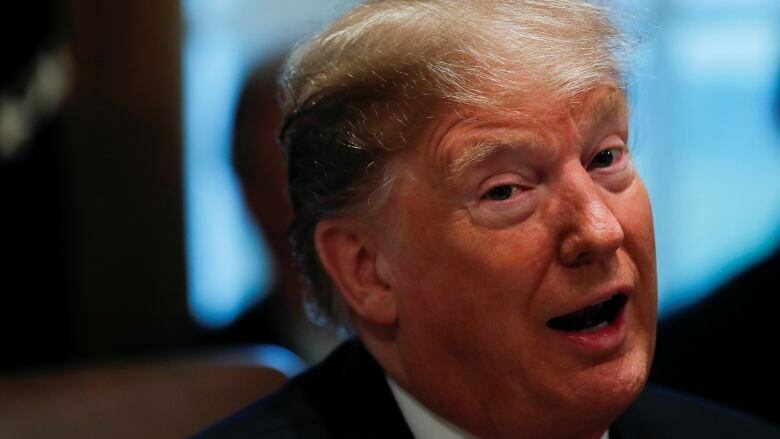 U.S. President Donald Trump said on Wednesday he will look for "landmines" in a government funding bill, though he also said he does not want to close the government for the second time this winter. "I don't want to see a shutdown," Trump said. "A shutdown would be a terrible thing. I think a point was made with the last shutdown. People realized how bad the border is, how unsafe the border is, and I think a lot of good points were made." On Tuesday, the Republican president said he was not happy with the deal and he did not rule out a possible veto of the legislation. And earlier Wednesday, the White House said it wasn't clear if Trump would sign on. "We want to see what the final piece of legislation looks like," White House spokesperson Sarah Sanders told reporters. "It's hard to say definitively whether or not the president is going to sign it until we know everything that's in it." Republican Sen. Lindsey Graham, who is close to the White House, said Trump was "inclined to take the deal and move on." Graham told reporters that Trump would then look elsewhere to find more money to build a wall along the U.S.-Mexico border and was "very inclined" to declare a national emergency to secure the funds. Congress, which faces a tight deadline to pass legislation to avert another U.S. government shutdown, is considering a compromise measure that does not deliver all the funds Trump had demanded to build a wall along the U.S. border with Mexico. 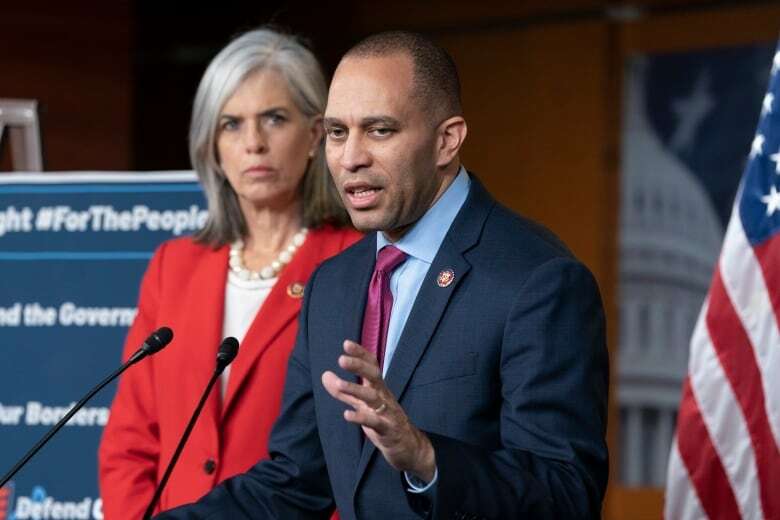 The U.S. House of Representatives will vote on bipartisan legislation to fund the government, including border security, on Thursday, House Democratic caucus chairman Hakeem Jeffries said. Jeffries said he expects an "overwhelming majority" from his party to back the bill in the House. The accord must also be passed by the Republican-controlled Senate and signed by Trump by the midnight Friday expiration of a stopgap measure that ended the longest federal shutdown in U.S. history. Congressional sources said the deal includes $1.37 billion US for new border fencing, about the same as last year — along 90 kilometres of the border — but not the $5.7 billion US Trump has demanded to help build his promised border wall. Senior congressional Republicans, showing little appetite for another shutdown after being heavily criticized for the previous one, urged Trump to support the agreement. "I think the president will sign it. I think he will do so reluctantly, and then obviously, have to use executive actions to secure our borders," Mark Meadows, Republican congressman from North Carolina, told reporters on Tuesday. "There are some positives in this bill, but it's certainly not enough," Sanders said in an interview with Fox News Channel. "The president and his team have been looking at every option possible to get the full funding they need in order to complete the wall." Trump was not asked about that possibility while with Duque. Trump surprised lawmakers when he withdrew support for a previous deal in December and demanded $5.7 billion US in wall funding, which was opposed by Democrats in Congress. That triggered a 35-day shutdown of about a quarter of the federal government that left 800,000 federal workers furloughed or working without pay. The president previously threatened to declare a "national emergency" if Congress did not provide money specifically for the wall — a move that would almost certainly draw opposition in Congress and in the courts. Trump made the wall a central 2016 campaign promise, calling it necessary to combat illegal immigration and drug trafficking. He said Mexico would pay for it, but Mexican officials rejected that notion. Democrats have called a wall expensive, ineffective and immoral.